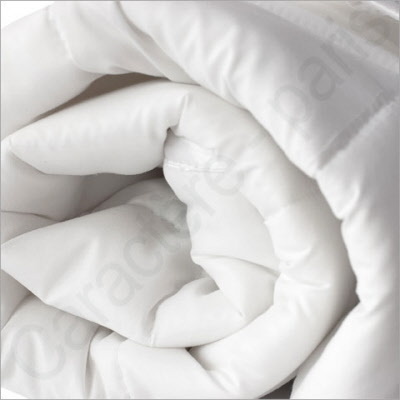 Presented in an individual sealed bag, our one use secured baby duvet is the solution to your problems regarding security and hygiene on the arrival of young children in your hotel. Our secured baby duvet is endowed with flaps on each side which allow you to fit the duvet with the cot's mattress . The most important thing about this is theat it avoids the risks of suffocation of the child. Packing: Box of 6 pieces.